Loire villas with pools, cottages, chateau, gites, holiday homes to let, self-catering rental accommodation in the Loire valley and central region of France. Rent a villa in the Central Loire and discover a region of fairytale chateaux and historic cities dominated by the majestic river Loire. 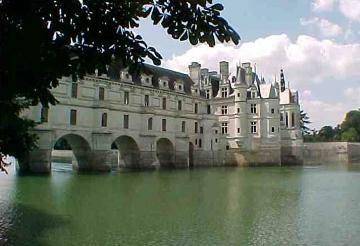 From the comfort of your villa, you can enjoy trips out to beautifully preserved chateaux such as the royal residence at Chambord, Chenonceau the much fought over residence of Catherine de Medici and the equally grand Valencay which has the largest maze in France. The cities of the Loire have a rich heritage, Chartres world famous cathedral ranks as one of the most spectacular in France, Orleans was famously liberated by Joan of Arc and Angers houses the incredible Apocalypse, the second largest tapestry in the country. We have 5 villas in Central - Loire. 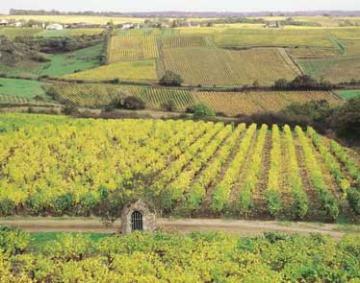 The gently rolling countryside is not only rich farmland, known as “the garden of France”, it also lends itself superbly to cycling and “la Loire a Velo” offers up to 800 kilometres of selected routes on quiet, well-marked tracks and roads which are an absolute delight for adults and children alike. The Loire is renowned for its wine, with the most appellations in any classical wine region, such as the profoundly delicious Vouvray as well as the more unusual Muscadet. Rillets, which are delicious on a crusty French loaf, apple juice and super fresh fruit and vegetables, are also specialities of the region. The Loire weather is generally very pleasant, there is a noticeably higher temperature band when you arrive this far south. So you can look forward to enjoying your villas swimming pool and basking in the sun when you are not out visiting the sights.